ECM Therapeutics is a regenerative medicine company that develops and manufactures diagnostic and therapeutic products derived from a naturally occurring material called extracellular matrix (ECM). Cell-based and drug-based approaches for tissue and organ replacement have not met the hopes and expectations of the scientific community or the patients in need of such therapies. The reasons are numerous but the common theme is the failure of cells and engineered tissues surviving following implantation in the patient. An effective strategy to overcome this barrier represents an opportunity to address several serious unmet medical needs and change the practice of medicine. Naturally occurring biologic materials composed of extracellular matrix (ECM) have been successfully used for almost 20 years as surgical meshes. ECM-Therapeutics has developed a hydrogel form of ECM that represents Mother Nature’s version of the ideal “niche” in which cells thrive. The ECM hydrogel promotes a number of constructive wound healing events including: 1) the mobilization and differentiation of the body’s local stem cells, 2) the transformation of the immune system from a pro-inflammatory phenotype to an anti-inflammatory, tissue healing phenotype, and 3) the suppression of abnormal signaling pathways within pre-cancerous and cancer cells. The ECM hydrogel represents a solution to many potential serious medical problems but the first disease targets are Barrett’s esophagus and esophageal cancer. 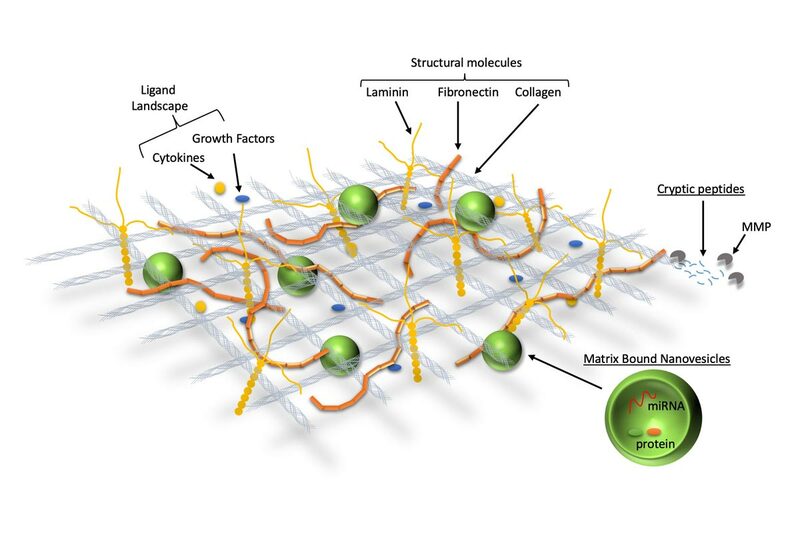 No other hydrogel product encompasses the complete Extracellular Matrix, only individual components of the ECM. MBV are a key biologic component of ECM bioscaffolds that recapitulate many of the phenotypic and functional effects of the parent ECM. 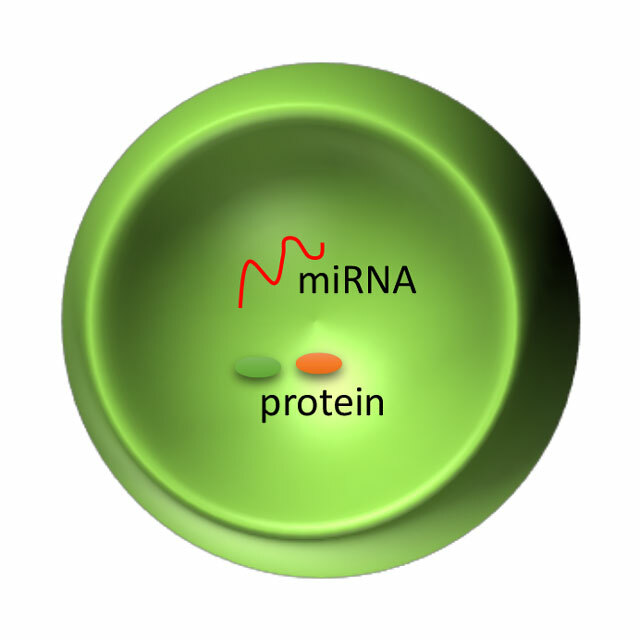 Compared to other extracellular vesicles, like exosomes, analyses showed that MBV carry unique lipid, protein, and nucleic acid cargo. Whereas exosomes have been described exclusively in body fluids, MBV are localized to the collagen fibrils within the extracellular space: that is, the ECM. 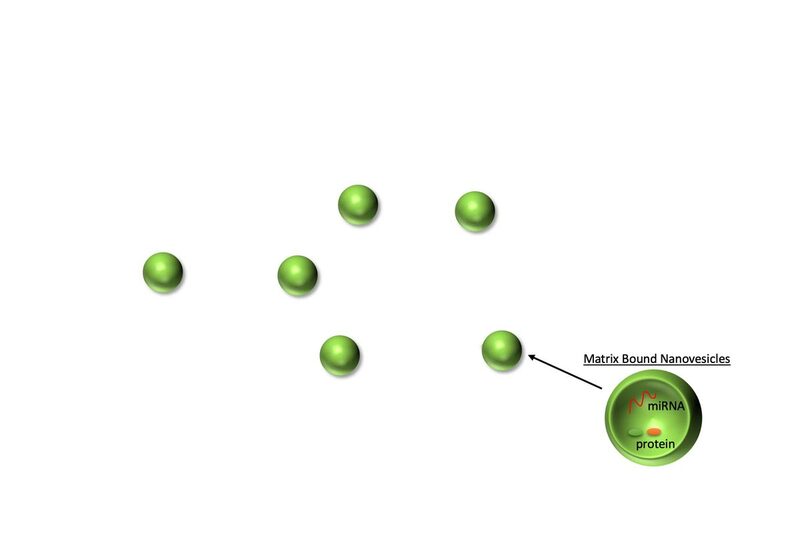 MBV are bioactive and can positively modulate the phenotype of diverse cell types, including stem cells and immune cells. Derived from healthy, pro-regenerative tissues, MBV have a biologic potential that exceeds that of extracellular vesicles derived from cultured cell lines and provides opportunities for the new therapeutic approaches that are otherwise untenable. ECM Therapeutics has developed effective methods to isolate MBV from the ECM of different source tissues. MBV are plentiful, highly stable, and are easily incorporated into injury-specific treatment platforms such as dressings, injections, or gels and customized to therapeutic platforms appropriate for the type and severity of the injury.